The candles were created using an ‘artisanal approach’, according to the perfumer who gave the creations the ‘familiar and evocative aroma’ of gravy. 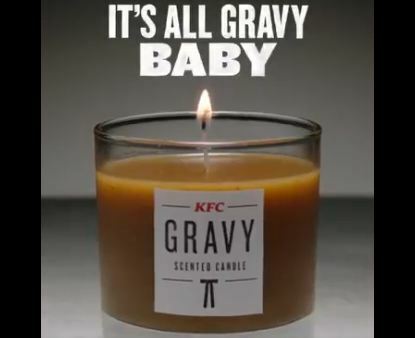 Have you ever felt you needed your home to smell like KFC gravy? The fast-food chain believes this is something you do need and has launched a limited edition gravy-scented candle. South Africans shouldn’t get too excited, though, as the candle will only be available in the UK, and only then “for the first 230 fans who apply”. The “staggeringly nose-stimulating” candle, which was created by a “trusted parfumier”, according to This is Local London, will “fill your home with the incredible aroma of KFC gravy”, said a spokesperson for the fried chicken chain. The perfumer called working with the brand an honour. “Initially, the different ingredients within the gravy were split into their constituent parts and fragrances matched to each. Then the scent was built component by component in the similar ratios as KFC’s iconic gravy,” the perfumer explained.